I'm home caring for my oldest granddaughter and only grandson. doing homework and not so fun stuff like that. Tonight we took some time to do something together just for fun. 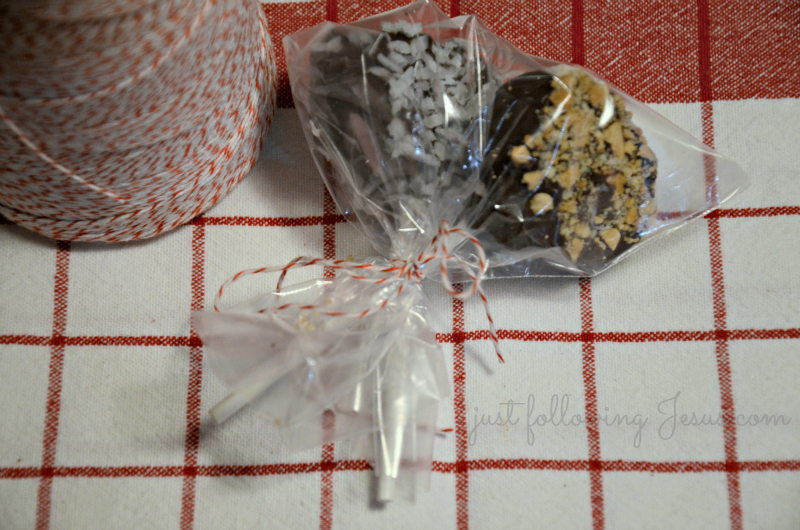 and dipped a cake pop stick in melted chocolate bark. 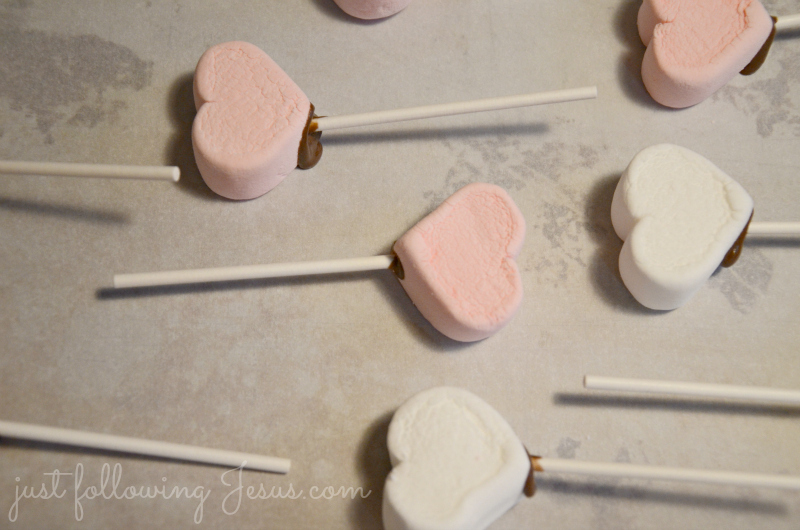 We poked it in the cupidmallow, then stuck them in the freezer for a few minutes until the chocolate was firm and the marshmallows chilled. Then we dipped them in the melted chocolate bark and dipped some in crushed peanuts and some in coconut. 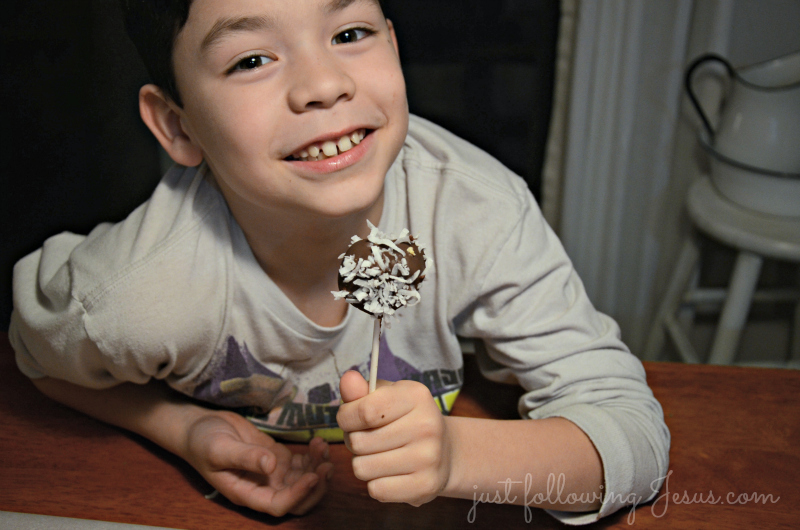 What a fun and simple Valentine treat to make with the kiddos! I love the strawberry heart marshmallows in my hot chocolate. Your pops are adorable and sound great! What a little cutie he is, too. I'm sure these were a big hit! The heart marshmallows are darling!